White Sheet, a local advertising company, recently hosted a youth drawing competition. 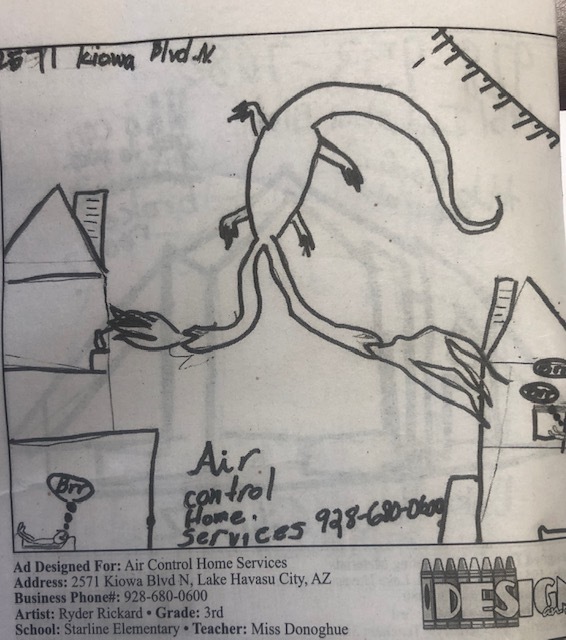 Kids from all over the area drew local businesses, and to our delight, a couple of competitors drew Air Control Home Services! Sarah Stauffer and Ryder Rickard chose us as the subject of their masterpieces, and we wanted to take the opportunity to share their art with you! 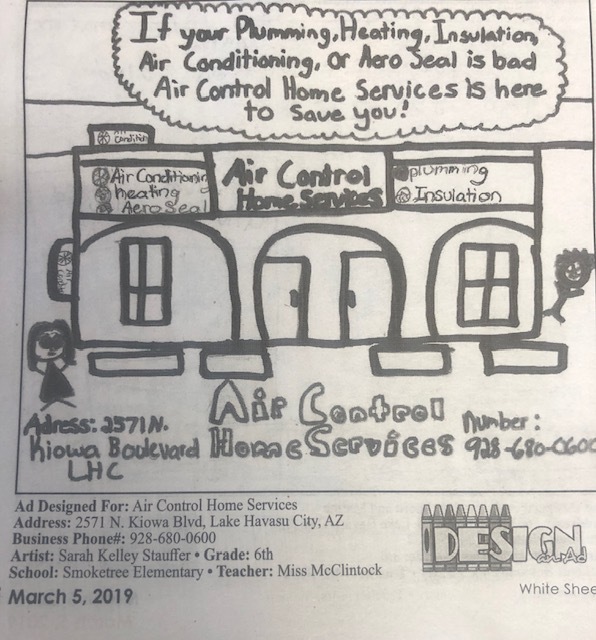 We want to thank our community and customers for continuing to support the team here at Air Control Home Services. We feel honored to have been recognized in this way. Keep up the great work, Sarah and Ryder!